Go Loco: Loco Tonic- A review of a bargain energy drink available at discount stores in the USA. Does Go Loco drive you crazy with energy? Molotov Explosive Energy Drink with Tapatio Hot Sauce not only gives you an energy rush but wakes you up with a blast of hot sauce. See what we thought about this unique energy drink. A review of Pure Bio an organic energy drink made from 100% organic farming imported from Austria. Does it provide a clean and sustainable lift? Rude Energy Drink: Power Up Your Game? A review of Rude energy drink, marketed to gamers and made by Rude Gameware. Will it take your gaming to the next level? 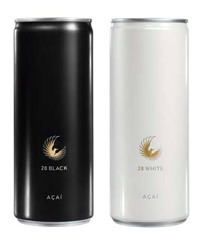 A review of 28 Energy Drink Black and White. This popular European Energy Drink (Calidris 28) is now available in the USA. See what's in this drink. 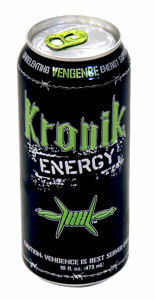 A review of Kronik Vengence Energy Drink. A new flavor from the popular Kronik line. Does it tackle tiredness with a vengence? Review of Rage Inferno Energy Drink. A product with a unique bottle and a large dose of caffeine. This drink could be dangerous. A review of Tapout Energy Drink which is a Canadian made beverage marketed to Mixed Martial Arts enthusiasts. A review of Monster Absolutely Zero Energy Drink including its ingredients, its flavor, and its perceived effect. 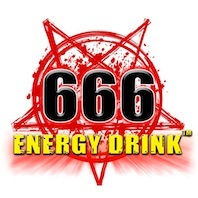 A review of the sinful 666 Energy Drink. Does Satan have enough power to shake you from your tired, meager existence? A review of Caffeine Energy Drink. It won over our reviewer, but will it win over you? A review of Roaring Lion Energy Drink including Zero and Au Natural. It's more affordable than Red Bull, but is it better? 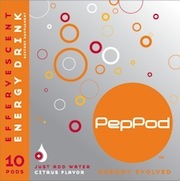 A review of PepPod Effervescent Energy Tablets which are similar to Airborne but with caffeine. See how they perform. 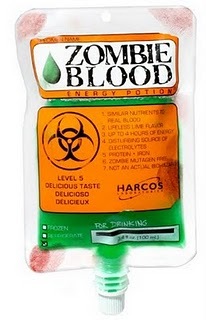 A review of Harcos's latest synthetic blood energy drink, Zombie Blood Energy Potion. Will it wake the living dead in you? A review of NX Energy Drinks made by Nitrous Express who make nitrous oxide systems for cars. Do they pack a punch?